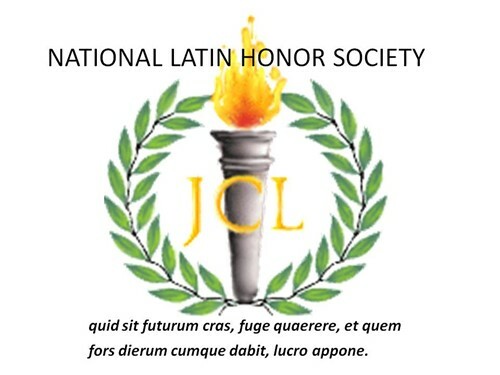 Twenty-five Bethel Park High School students were inducted into the National Latin Honor Society, including seven sophomores, 12 juniors and six seniors. Students who demonstrated outstanding academic achievement and citizenship in Latin Class during the 2018-2019 school year were eligible for induction. Inducted this year were sophomores Tanush Bahl, Declan Brusoski, Kelly Katilius, Sarah Plotz, Rachela Rich, Kate Wholey and Makayla Yee. Juniors who were inducted included Alex Brownfield, Andrew Cassano, Hannah Crawford, Sebe DiPrampero, Liam Fink, Grace Gealey, John Gummo, Claudia Huber, Ben Minick, Cassidy Misak, Mark Vighetti and Nicholas Walker. Also inducted were seniors Eliza Albenze, Natalie Farmerie, Ariana Guerra, Jenna Peretin, Julianne Stein and Julia Wright.